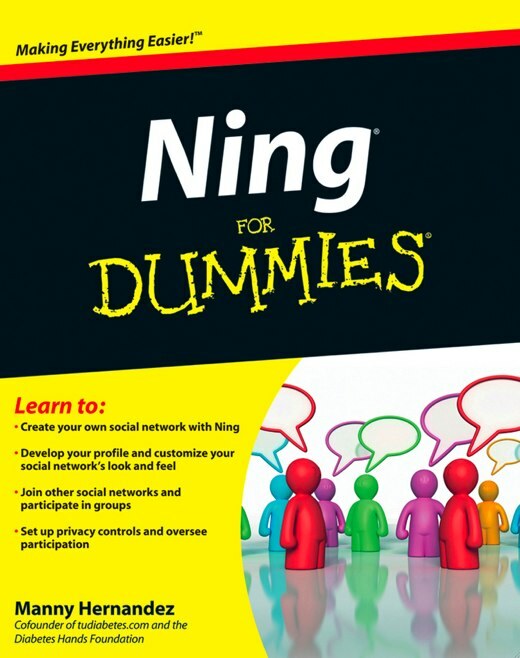 I’m thrilled to announce that Ning for Dummies is now available on Amazon and will be at your local bookstore soon. The book was written by Network Creator Manny Hernandez, who created his social networks, Tu Diabetes and Es Tu Diabetes, a few days after we first introduced Your Own Social Network in February 2007. To date, more than 10,000 people have joined Manny’s social networks. In the book, Manny takes you through everything from discovering social networks about things you’re passionate about to creating a social network and adding photos, videos, blog posts and other content. He also gives you tips on promoting your social network and keeping your members engaged. Manny has posted a sample chapter on his personal blog if you’d like to see a preview.